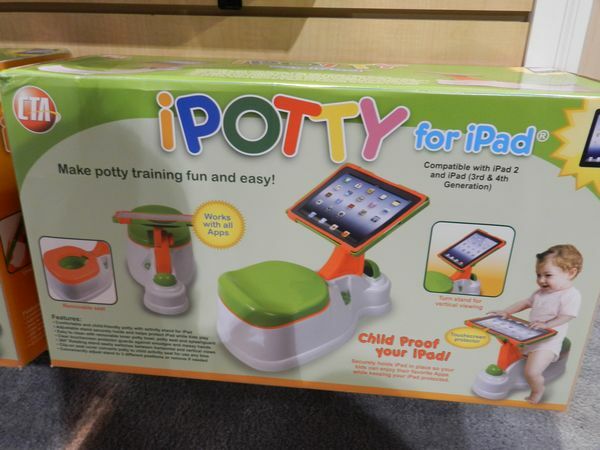 The iPotty for iPad is, as the name suggests, a potty for toilet training which - wait for it - has a built-in stand for the Apple iPad 2 and iPad 3rd and 4th-generation models. In what has to be one of the more random accessories for the Apple tablet, the new plastic potty will cost $39.99 when it goes on sale in the US in the next few months. 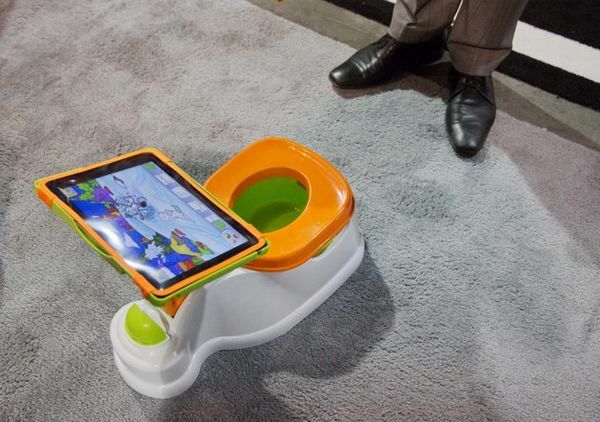 As far as potties go, the iPotty for iPad will come with an easy-to-clean and removable inner potty bowl, potty seat and splashguard, as well as a clip-on cover that converts the potty to a child activity seat for use at any time. As for the iPad, it clips into an adjustable stand that has a clear protector so you don't get stuff you don't want on your the device, and the ability to rotate the iPad between horizontal and vertical views.